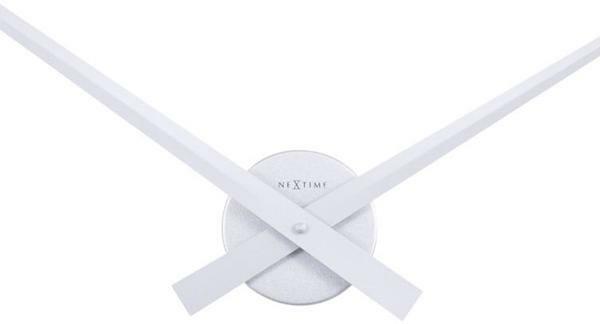 The Nextime Hands Clock in Silver is highly recommended for those who adore minimalist design. Everything has been stripped off except for the most basic element which are the clock hands. These are made from durable aluminium so it won't easily warm or break. Made to larger, there's a circular metal plate which holds two sleek and pointed clock hands. Each piece is painted in a lovely silver shade so it easily stands out from your wall. It's quite big so you can easily use it as a focal point on your wall. Use this on a plain painted wall or a coloured one where the silver easily pops. It's definitely perfect for minimalist spaces since it can easily create a statement.